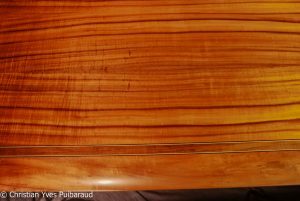 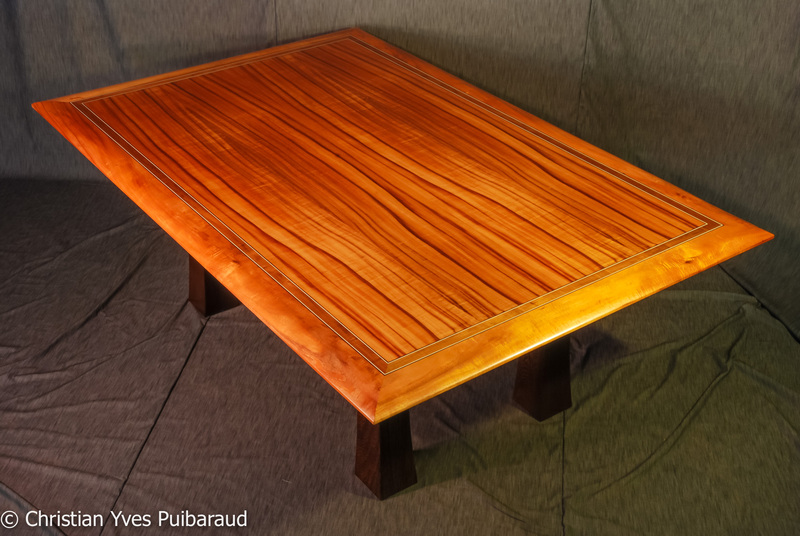 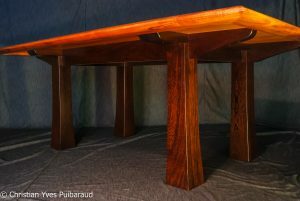 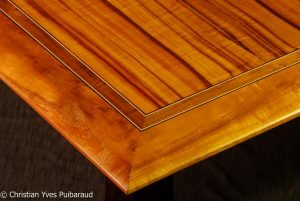 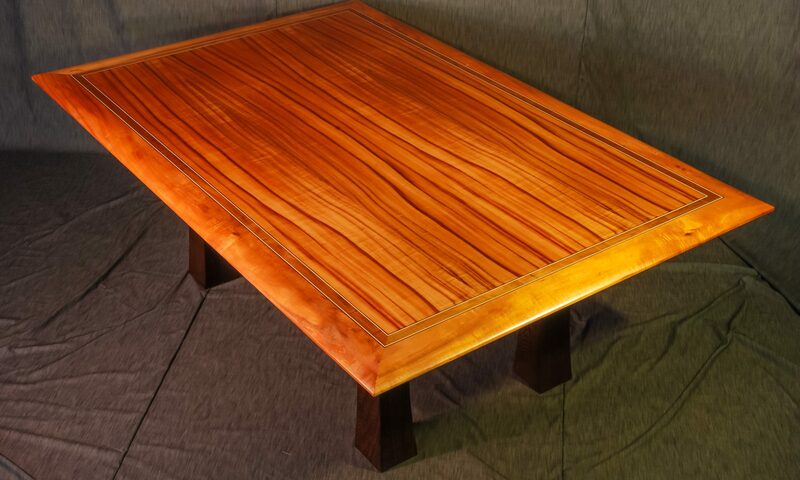 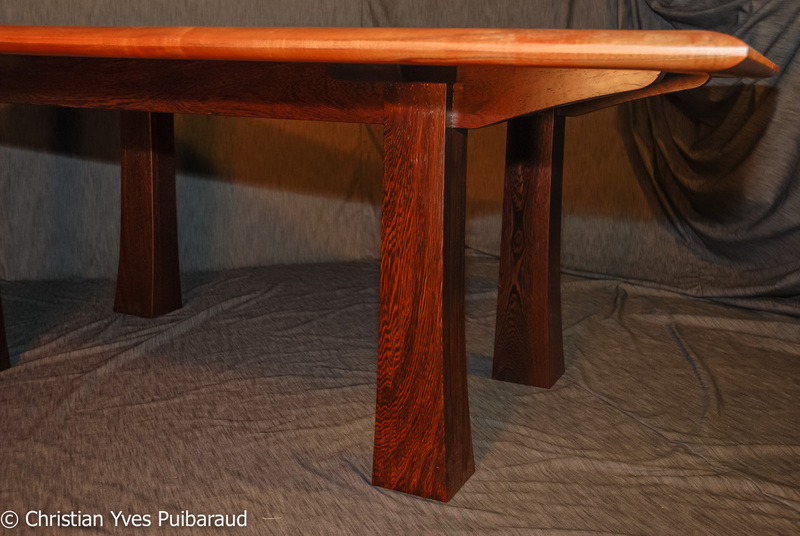 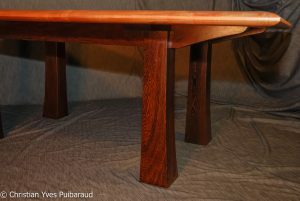 Curly Koa Dining Table with solid Koa 4″x2″ edges. 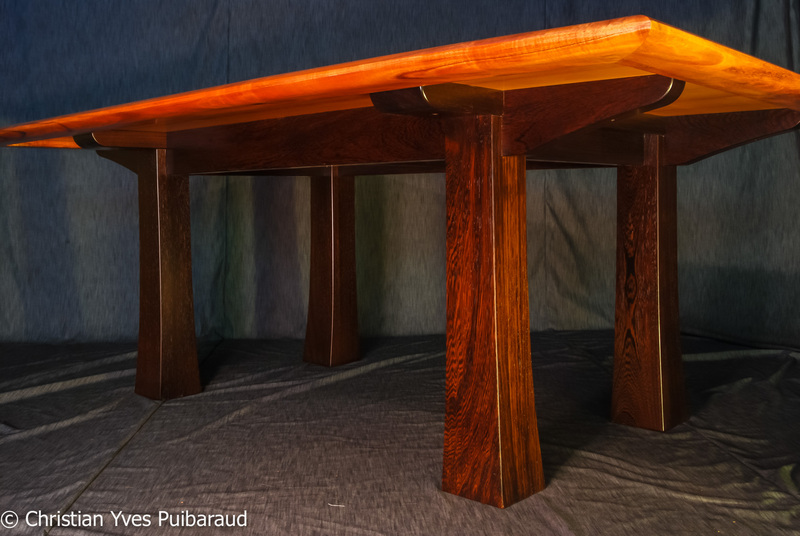 Legs are in Wengé. Style inspired by Japanese woodworking. 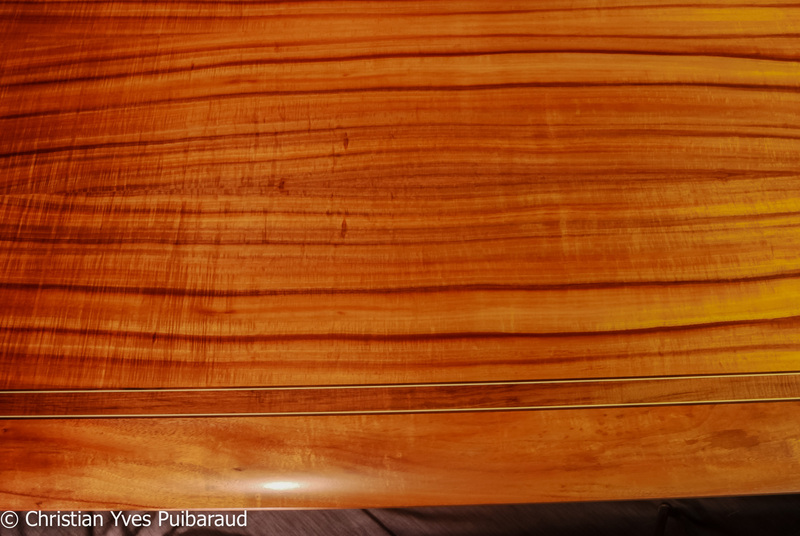 Inlayed with dark Koa veneer and Hollywood stripes.